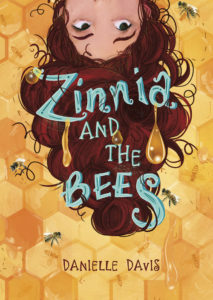 zinnia and the bees is out today! Today’s the day! 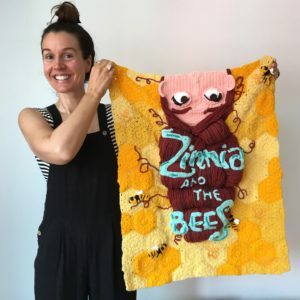 Zinnia and the Bees is a published book in the world—hooray! And because Zinnia is a knitter and yarn bomber, here’s a photo of me holding the crocheted cover(!) made to match by yarn bomber extraordinaire, Jenny Brown. 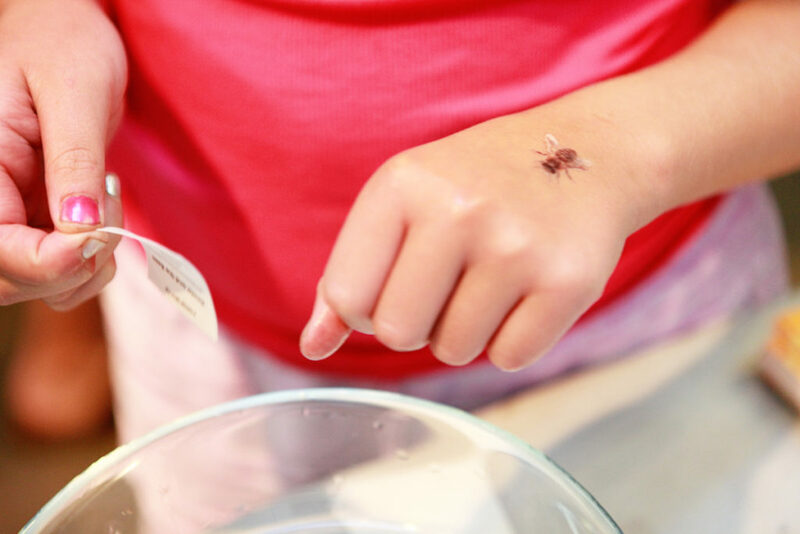 So cool, right? 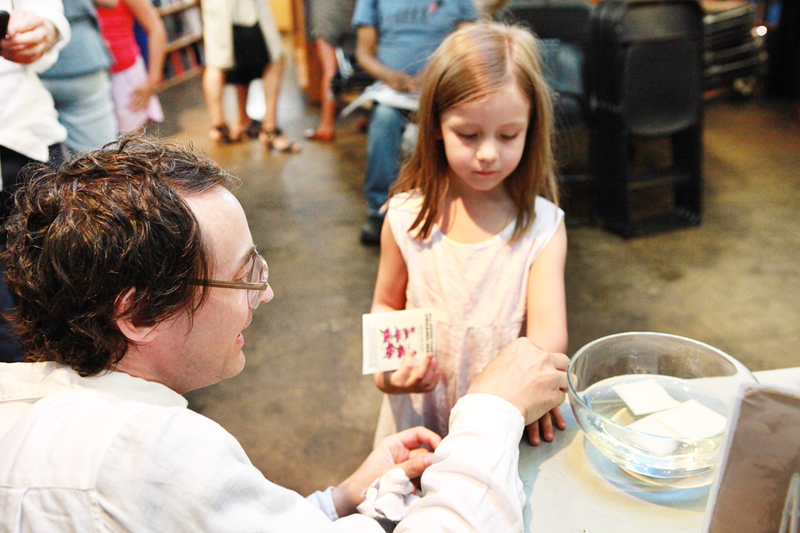 I started this story close to ten years ago. 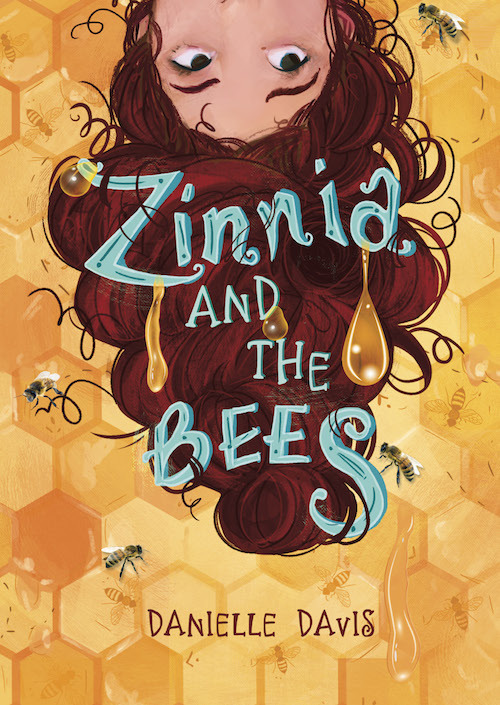 The seed of it was the idea of bees swarming around and settling on Zinnia’s head, a metaphor for all the stuff that’s out of her control. The heart of it is about finding home, both for the bees and Zinnia. The process of it showed me my own writing home, with young readers as my audience. And the best part of it is that now I get to share it with them and you. 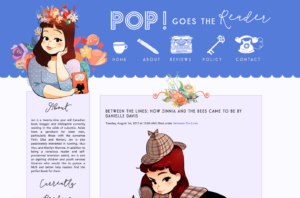 You can read more about the origins of the book in this guest blog post I wrote, up today at the awesome blog, Pop Goes the Reader. 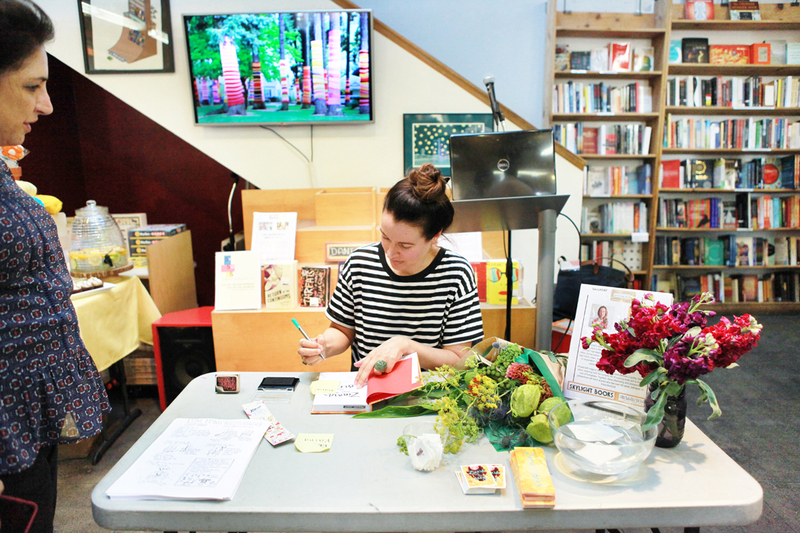 *Your local, independent bookstore, Barnes & Noble, Amazon, or Indiebound. And if you do read it and leave a review on Amazon or Barnes & Noble or Goodreads, I’ll be forever grateful as reader reviews are so helpful to authors. 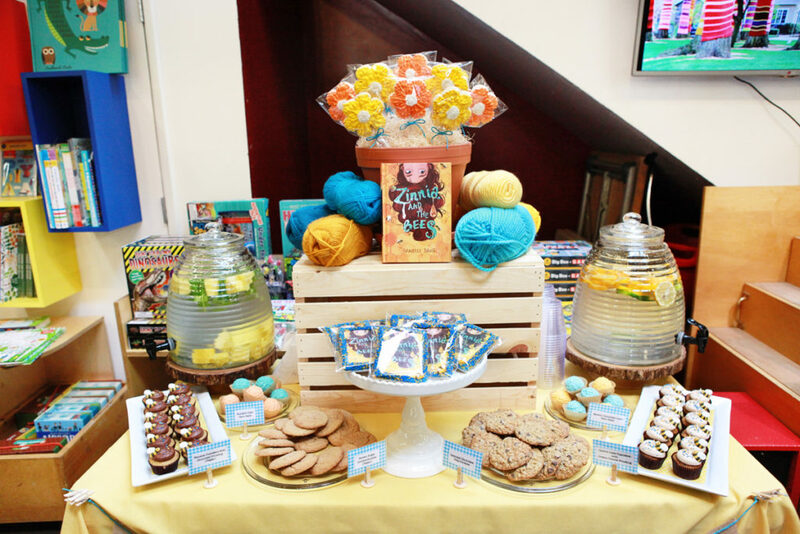 A giant thanks in particular to my agent, Rick Margolis, and my editor, Ali Deering, both of whom made this book possible, and a whole lot better. Plus, Laura K. Horton who created that beautiful cover and the whole team at Capstone! 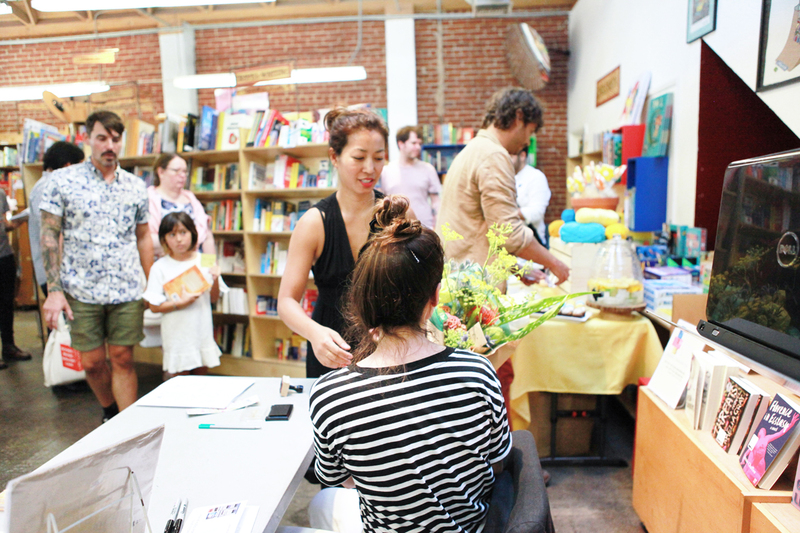 If you’re in Los Angeles, my book launch is this Saturday, August 5th at Skylight Books! 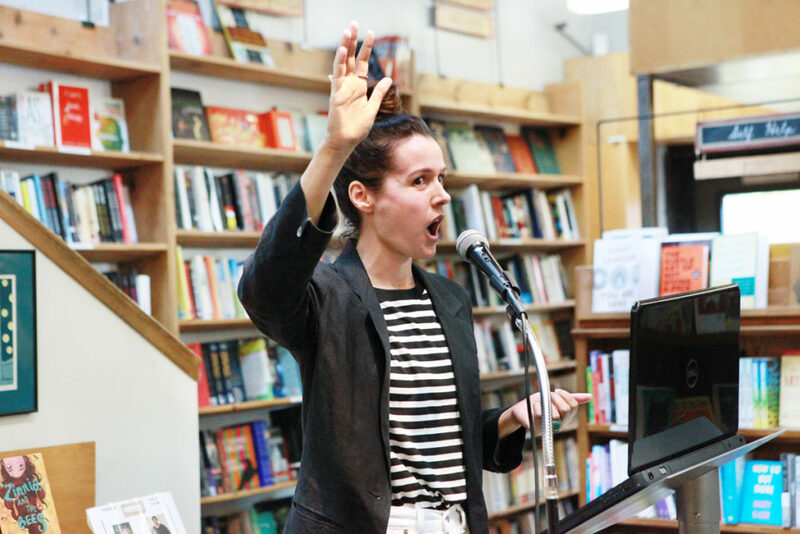 Or if you’re in Portland, Seattle, or Vancouver BC, I’m coming your way soon! Details here. Hope to see you soon. 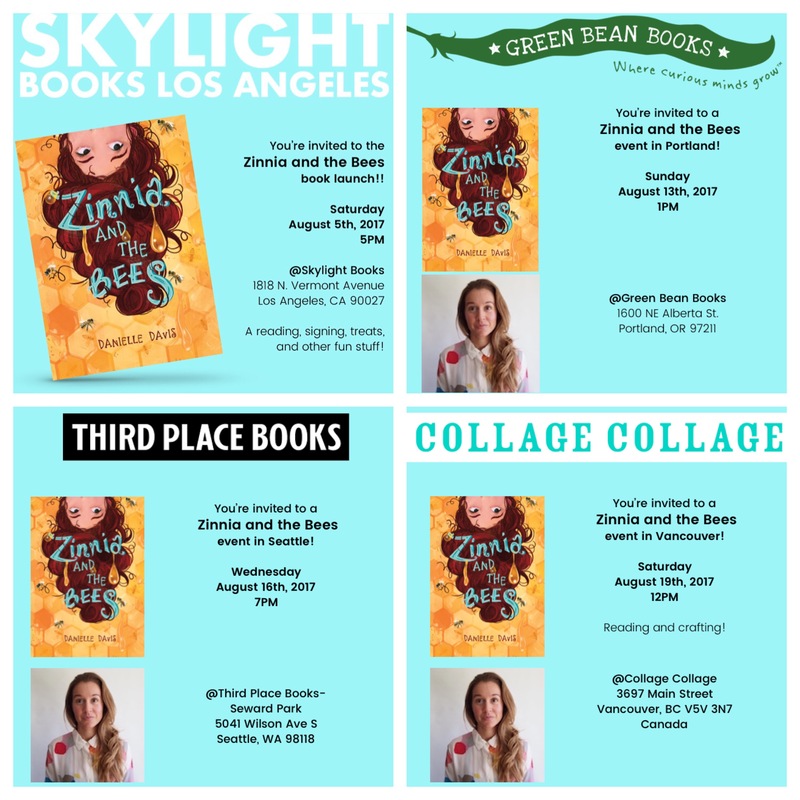 zinnia and the bees goodreads giveaway! 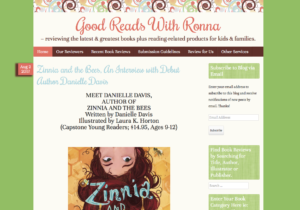 There’s a goodreads giveaway for Zinnia and the Bees going on now! 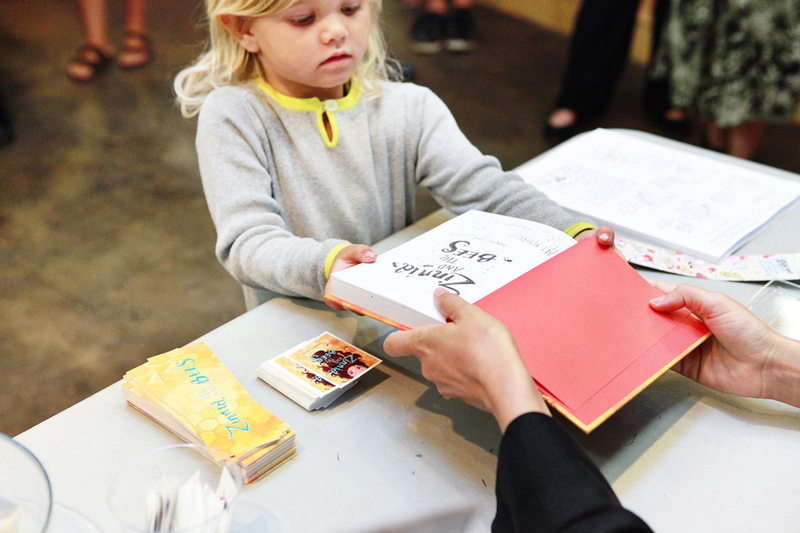 This is the last week to enter to win one of 10 advanced copies of the book. Here’s the link (it’s easy!). 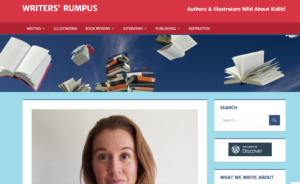 And it publishes very soon, on August 1st! 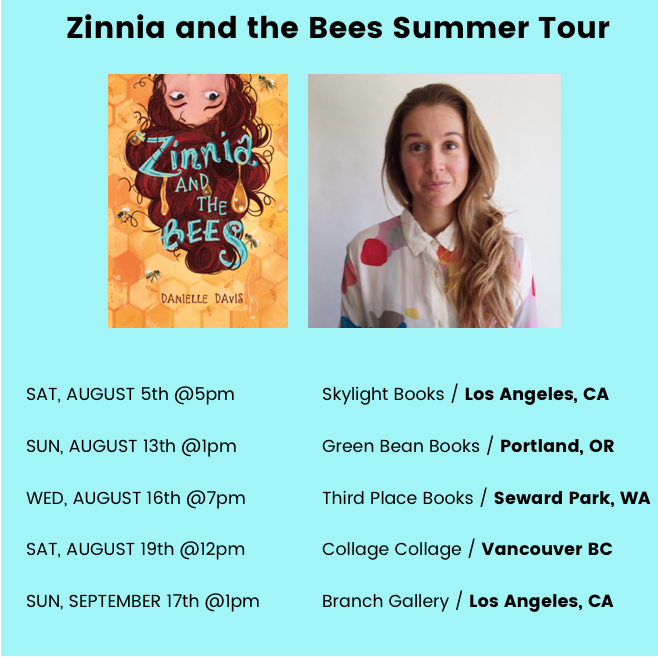 Zinnia, the bees, and I are traveling up the coast in August! 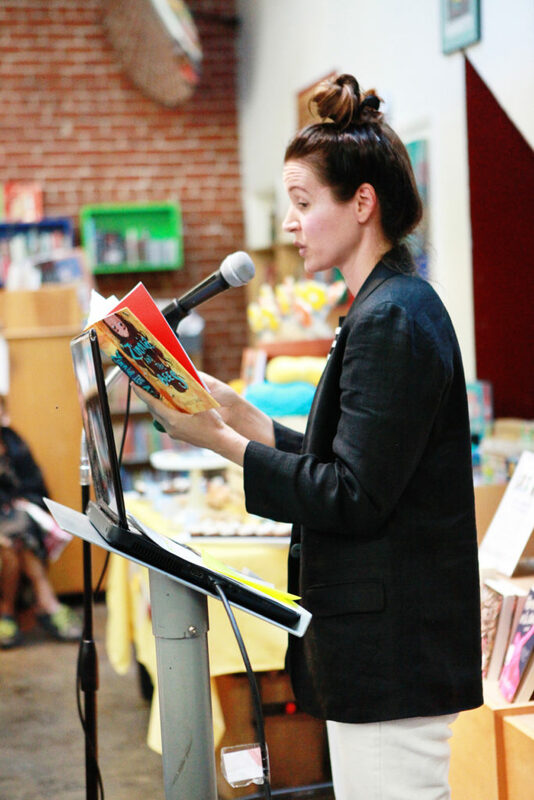 If you’re in L.A., Portland, Seattle, or Vancouver, I truly hope to see you at one of my events! 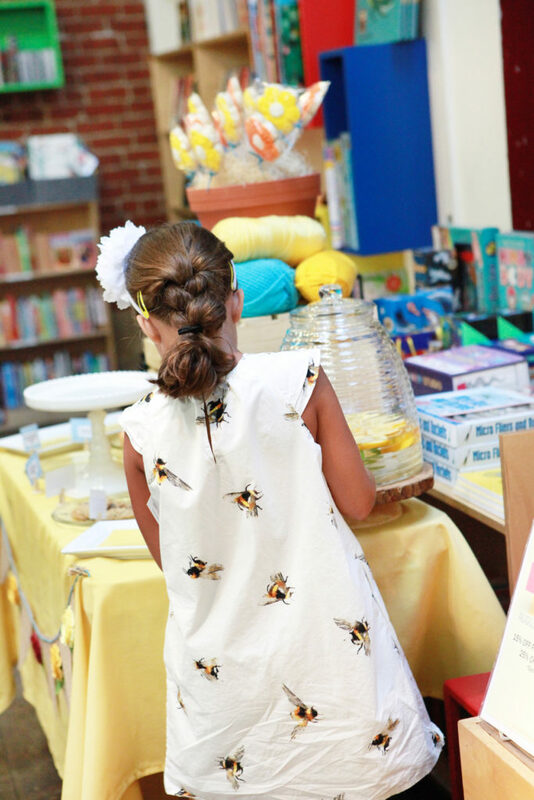 Happy summer, and hope to see you there! pre-order zinnia and the bees, get snail mail goodies! 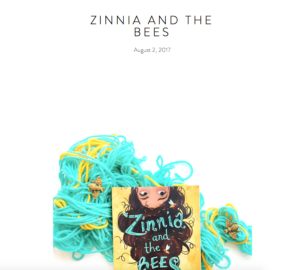 I really appreciate every Zinnia and the Bees pre-order as they are so helpful to me as a writer. So, in that spirit, I’m setting up a pre-order campaign for all of you pre-orderers! 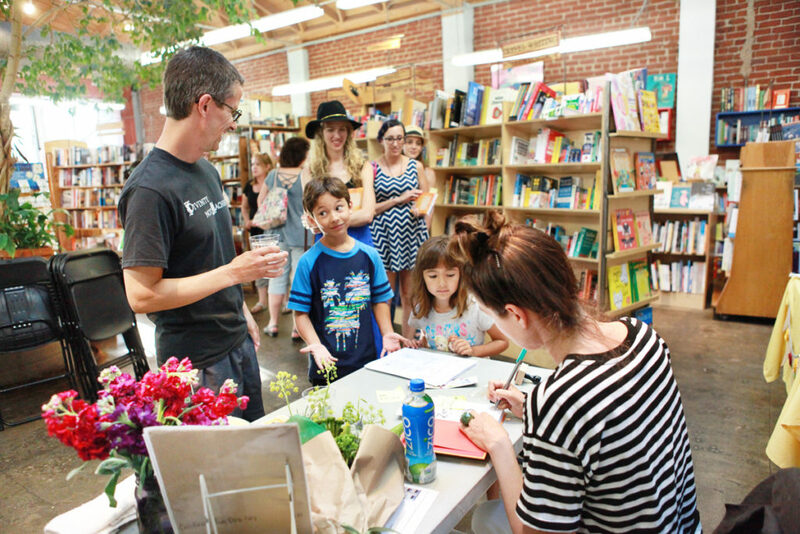 You pre-order my book, I’ll send you snail mail goodies as a way to say thank you. 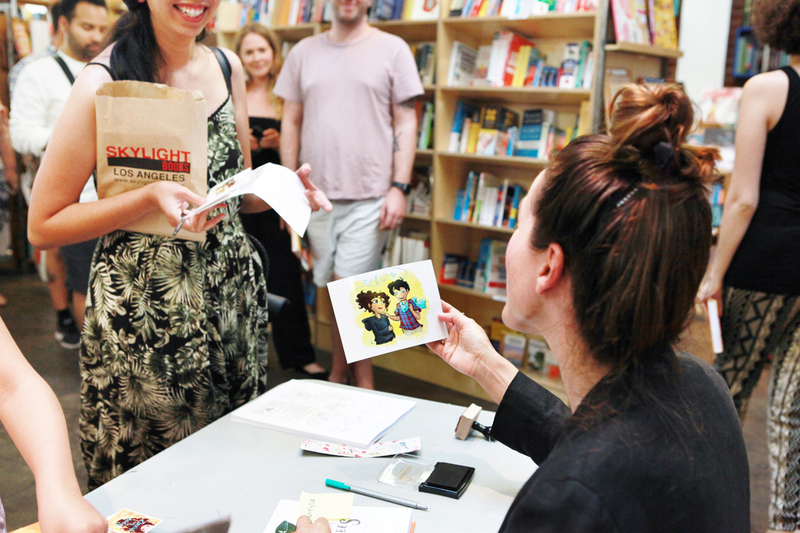 And if you’ve already pre-ordered, you can participate too! 1. 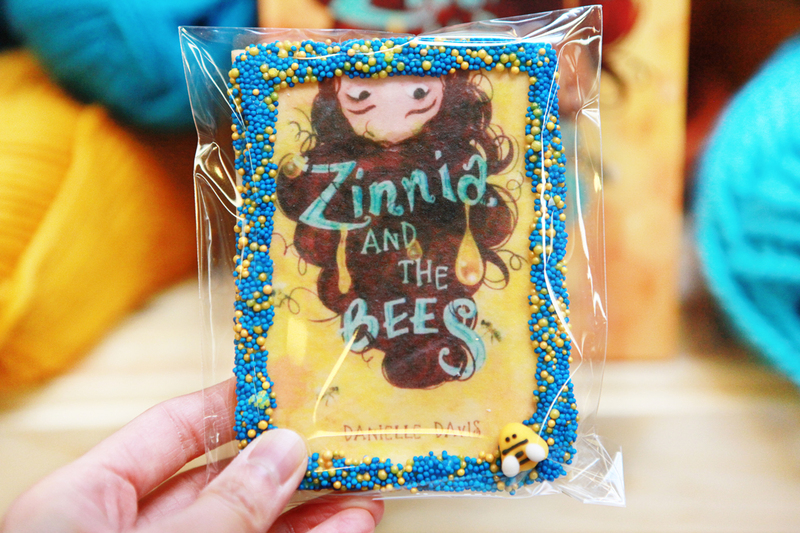 Pre-order Zinnia and the Bees from wherever you buy books: Indiebound, Barnes & Noble, Amazon, or your local, independent bookstore (yay!). 3. 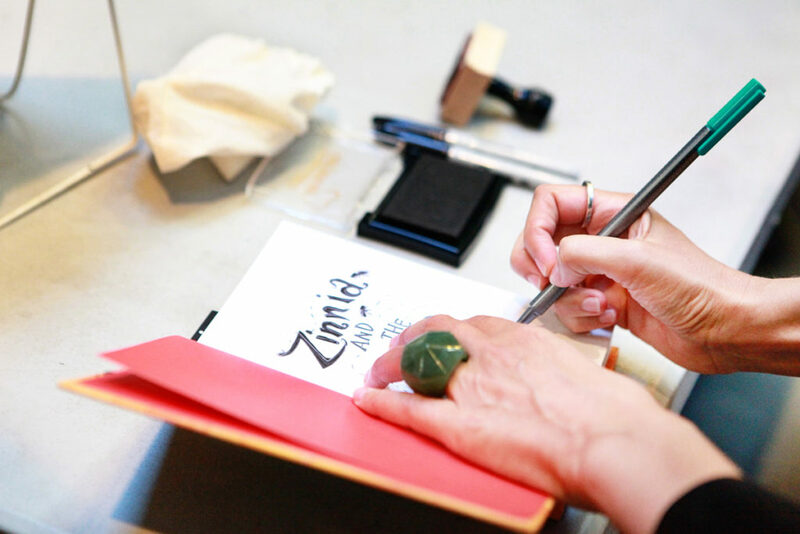 I’ll send you some snail mail goodies! 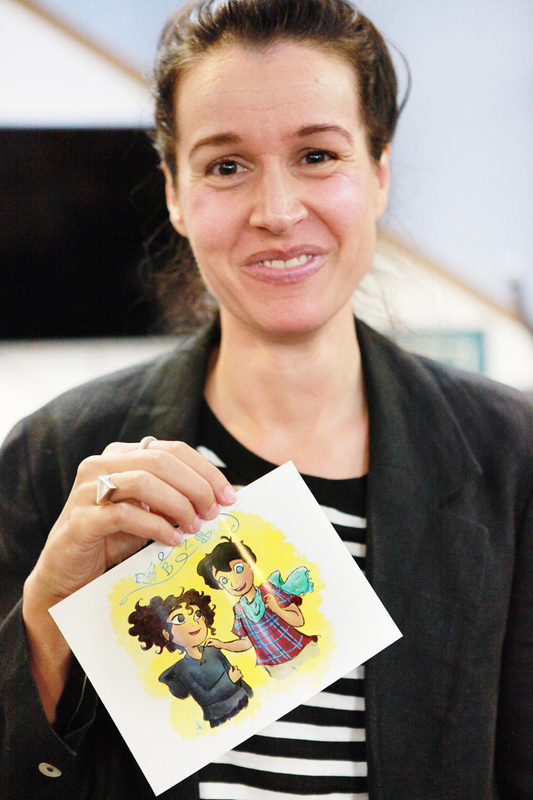 See the picture below for what will arrive (two bookmarks, two stickers, and two custom temporary tattoos). Hurry, I’ve only got limited supplies! This runs through July 15. 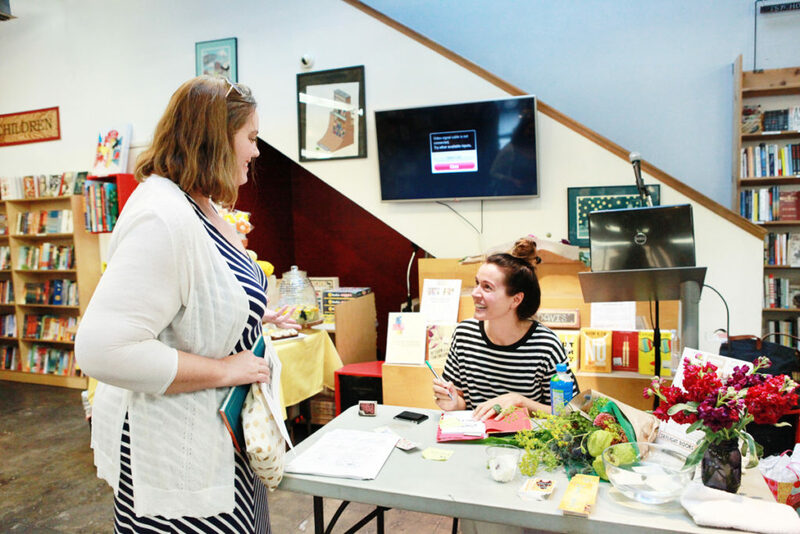 *Order from my local bookstore, Skylight Books, and if you make a note in the comments at checkout over there that you’d like a signed copy, I’ll sign the book they send to you when it’s out on August 1st! Here’s the link for that. 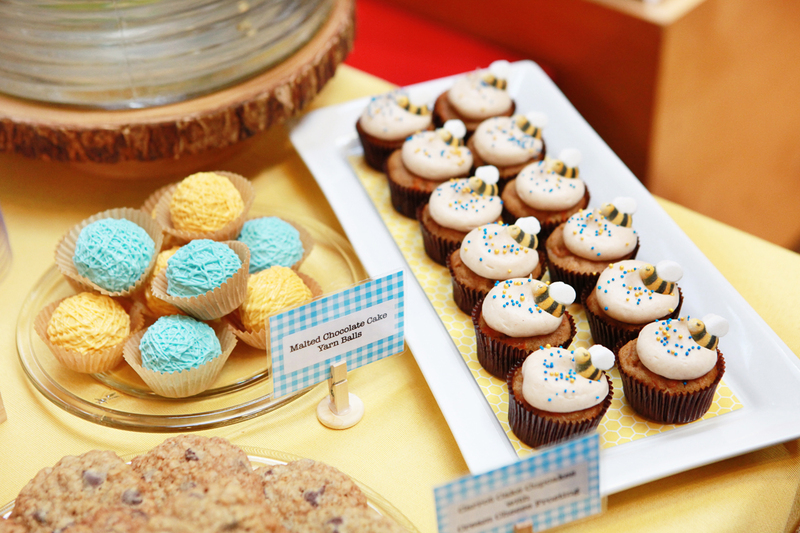 *Plus, one pre-order participant will be randomly selected to win an additional special prize! One winner will get a handmade crocheted bee by Afternoon Faun! 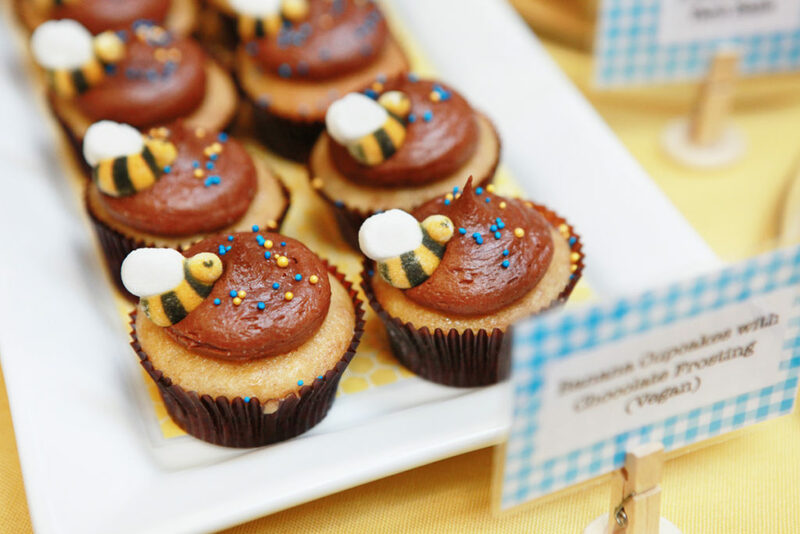 Isn’t it cute? 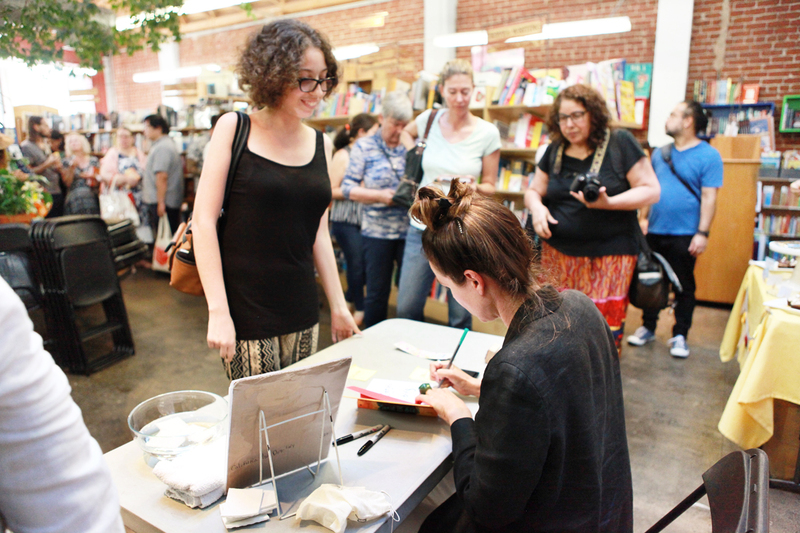 Here’s the form to fill out in order to get your snail mail and a chance to win the prize bee! Details/rules:Open internationally. While supplies last. 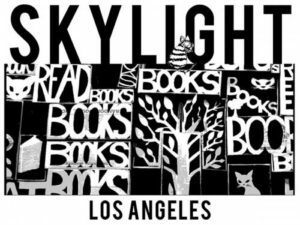 Closes July 15, 2017. 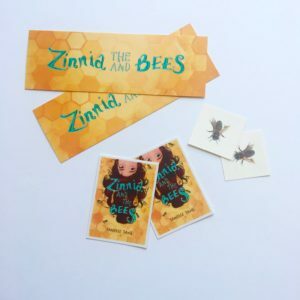 For every valid entry, participant will be mailed two Zinnia and the Bees bookmarks, two stickers, and two temporary bee tattoos. 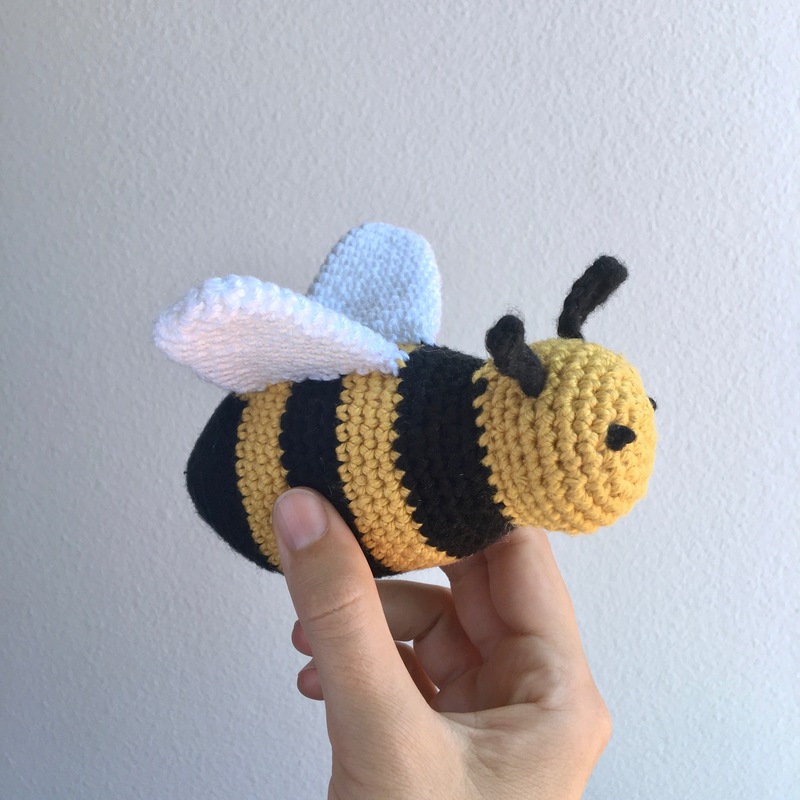 One prize winner will be randomly selected on July 16th, 2017 and will be mailed the above snail mail plus a small crocheted bee. 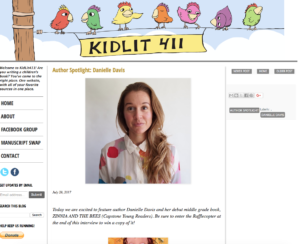 By participating, you are giving Danielle Davis permission to contact you via email (if necessary), mail your items, and you’re signing up for Danielle Davis’s periodic email newsletter. 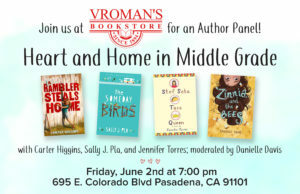 Thrilled to be moderating this Heart and Home in Middle Grade Panel at Vroman’s in Pasadena on June 2nd at 7pm! 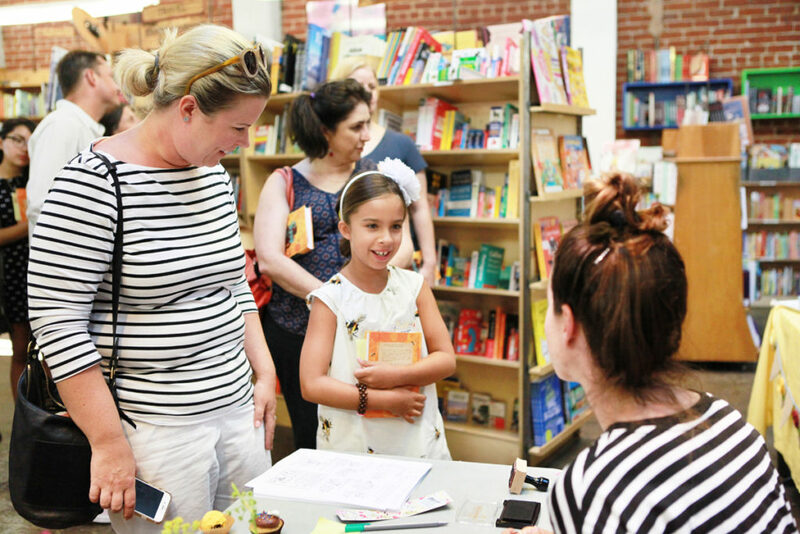 Looking forward to talking with the writers of other 2017 debut novels about the way their main characters navigate growing up, family, and identity. 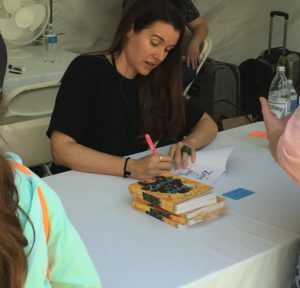 I had a total blast at the L.A. Times Festival of Books last weekend. 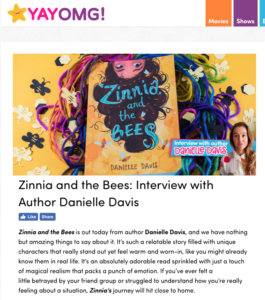 What a thrill to be a on a middle grade panel with terrific writers I admire so very much and to give away and sign 10 advanced copies of Zinnia and the Bees. 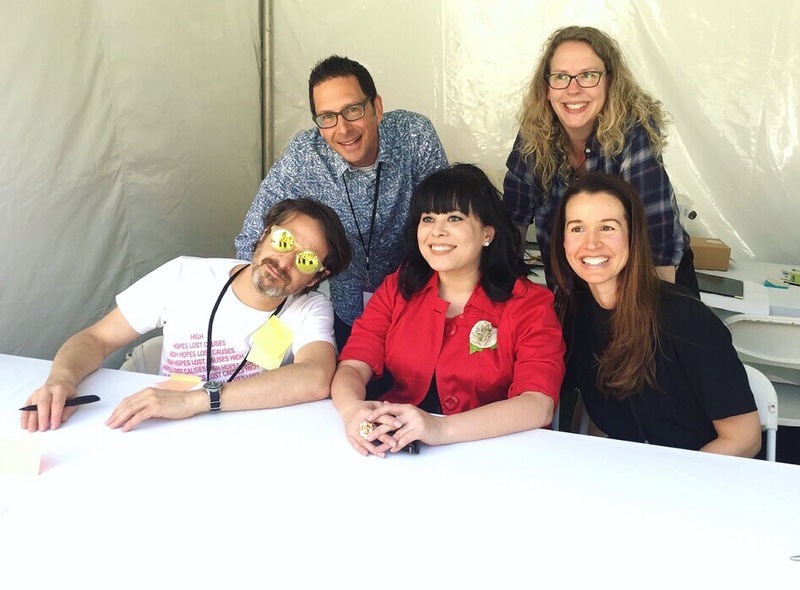 Pictured below, clockwise from my left: Erin Entrada Kelly, Pseudonymous Bosch, Steven B. Frank, and A.S. King. 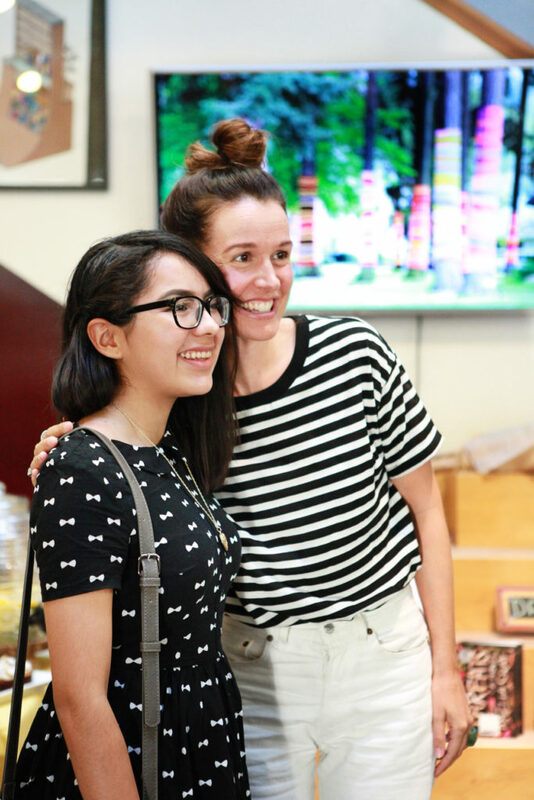 This photo makes me very happy. 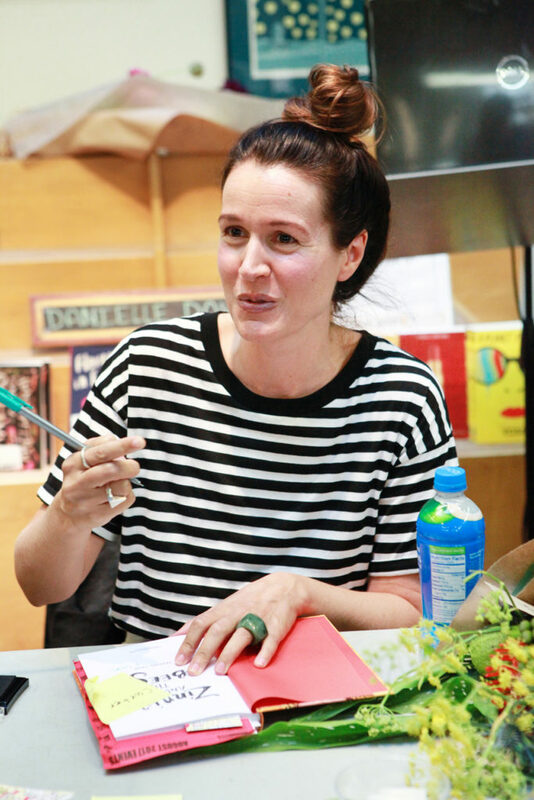 And here’s a quick video of me describing yarn bombing. 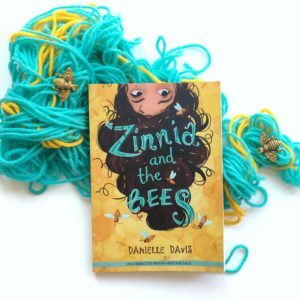 Zinnia and the Bees is available for pre-order! 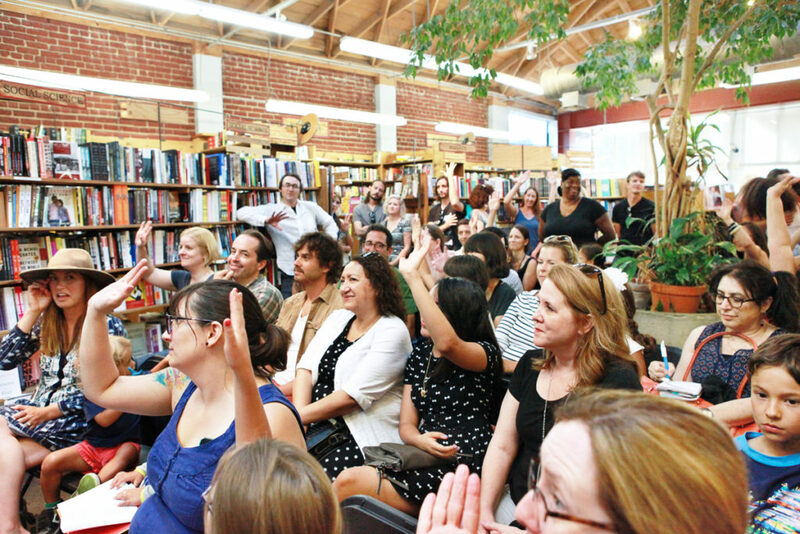 (The book comes out August 1st). 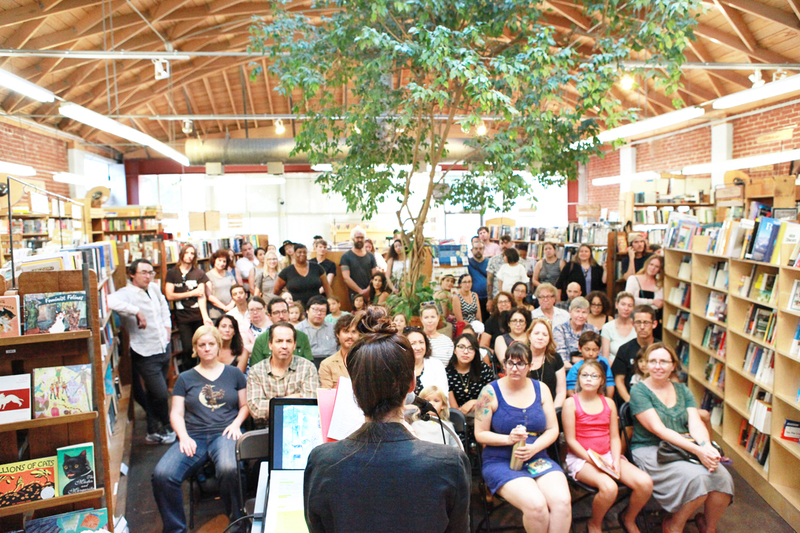 You can pre-order with Amazon, Indiebound, Barnes & Noble, or your local, independent bookstore. I’m thrilled to be part of The Los Angeles Times Festival of Books at USC this year—my favorite annual event! 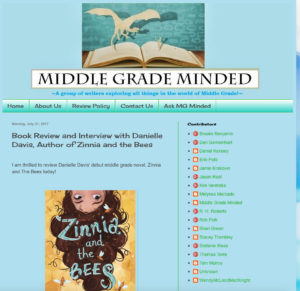 Middle Grade Fiction: Growing Up The Hard Way, conversation 2121. Tickets will be available on April 16th (they’re free with a $1 service fee).